One of the reasons why the iPhone is so popular is because it strikes a balance between convenience and security right out of the box without much effort on your part. If you’re a security-conscious user, though, there are a few measures you might want to take to reduce your phone’s vulnerability. If you use your phone on unsecured Wi-Fi networks, such as a communal connection at a café or restaurant, you should be using a virtual private network (VPN). Some VPNs are free and others cost a few dollars a month, but all of them will encrypt data that’s being transmitted in and out of your phone over the network. When you use a VPN, someone might still be able to intercept your data, but they won’t be able to read it. When you’ve found the right VPN for you, your provider can help you set up your phone to use the service. Backing up to the cloud has been made so convenient that you might have data floating around that you don’t even know about. Many celebrities learned this lesson the hard way when hackers phished for access to their passwords and uncovered photos stored in the cloud that they had deleted from their phones. Your own photos, notes, messages, contacts, and documents could be living on in the cloud long after you’ve trashed them and believed they were gone. You can check this option under your iCloud settings and be sure you’re only backing up the data that’s important but secure. Autofill makes it easier to fill out forms online by storing your name, address, phone number, and other potentially sensitive data — sometimes even your bank account numbers, passwords, and credit card information. If a criminal gets your phone, they can log in as you to all your favorite websites and may have enough information about you to steal your identity. To turn this feature off, find the “passwords and autofill” settings in the preferences for your preferred browser and turn them off. 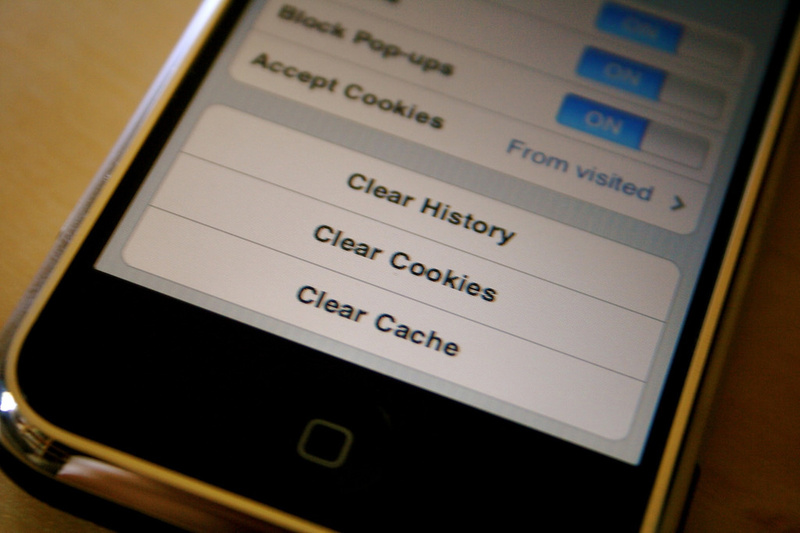 Cookies store bits of data and keep you logged in to some websites. Like autofill, they add convenience to your life but the trade-off is that if someone steals your phone, they’ll be logged in to your accounts. Turn this feature off under your favorite browser’s preferences. Unless you’re using an active Bluetooth connection, keep the option switched off. As long as Bluetooth is turned on, you’re maintaining an open connection and broadcasting the opportunity for anyone within range to break into your phone. Programmers are working on making Bluetooth more secure, but right now, it’s making your phone extremely vulnerable. Thieves are very attracted to iPhone devices. These phones are small enough to hide and extremely valuable. Theft is the most pressing safety concern for iPhone owners, according to Lifewire. To prevent theft, keep your phone in your pocket instead of setting it on the table at restaurants. Nightclubbers who’ve been drinking are notoriously irresponsible and vulnerable, so if you’re going out to a party, you might want to carry an older phone with you. A less valuable model is also a good idea for travelers. Protecting your iPhone isn’t difficult, but you’ll sacrifice some convenience in exchange for the extra security. Luckily, the added nuisances are relatively small. You’ll get used to them very quickly and enjoy far greater security from now on.